PowerCLI: How many VMs on your Datastores ? How many VMs do you have on your datastores ? Do you know ? should you care ? Yes, you should care, you should care because over saturated datastores can cause issues with IO and also cause scsi locks if you are using fibre. So what is the sweet spot ? Unfortunately its one of those “It Depends” situations, isn’t everything ! It depends on the type of shared storage you are using, fibre, iSCSI, NFS and also depends on the types of VMs you are using, all I can recommend is that you try and distribute your VMs evenly and try and think about the type of VMs you are putting on the same datastore, for example, if you have multiple SQL servers on the same datastore or if you have an exchange server on the same datastore as your SQL VM’s then do something out it. And don’t forget, with the wonders of Move-VM and SVMotion we can move some VM’s around to start evenly distributing the load on our datastores. I would also suggest monitoring from the SAN up so you can see straight way if you have a volume or LUN issue. I know, this article is old. But anyway: Does it still work? 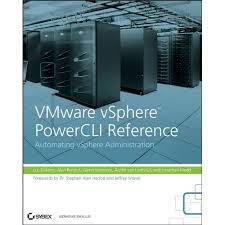 When I use it with PowerCLi 6.5 and vCenter 6.5, the number of VMs is off. For example, one datastore it says 9, but when I look at it, there are at least 14 VMs on that store. We have another store where we just put ISOs for installing hosts. No VMs here. It says 35 VMs. But besides 17 ISO files, the store is empty. Where does the 35 come from? This makes me doubt all the other outputs of this one-liner as well. Is this also possible using Get-view cmdlet (Get-View -ViewType Datastore) ? I have a many VMs in my data store that are not added to Vcentre inventory. Is it possible to delete only those VMs through a script as the number is too big to delete manually. The complete setup is in a cluster. Yes, there are multiple orphoned VM scripts on the web which you could use. but it would be better not only to know who many vm’s are running on the datastore …but also know the amount of used hosts or this ammount of vm for each datastore. Thanks Guys , its a good one-liner script. Since I am new to Powercli , Can someone help me out on this.. I would like to have a script for complete datastore information such as datastore total size & free size, how many # of VMs per datasore currently running that can be run as schedule task and send an email upcon completion the script with the report. Thats strange, the only thing I can think of is that it is an issue with copying the code from my site, are you using the “copy Source” button that appears when you hover over the code ? I admit I am new to PowerCLI scripting (very new, even), but after running this against my cluster, I see a list of the DataStores, but no heading for “NumVM” and no vm count. Is it possible I cannot type this one line correctly? Or perhaps this does not work on SAN DataStores? Pingback: FAQ » PowerCLI: How many VMs on your Datastores ?